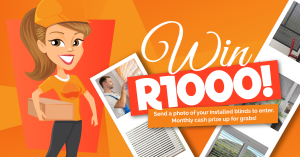 Want to win some great prizes with Blinds Direct? We feature our competitions here. Check back regularly for competitions where you can win fantastic prizes! Stand a chance to win with our Monthly draws!